We offer European style extra tall doors and panels, to enhance privacy. The gaps between the doors and the pilasters eliminated to achieve ultimate privacy. 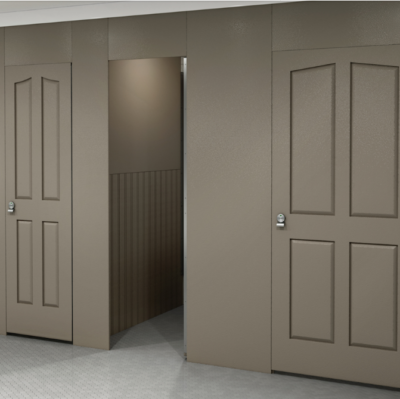 With extended doors and panels mounted closer to the floor, Elite and Elite Plus toilet partitions deliver the ultimate in privacy by using full height continuous channels and hadrian’s unique “No-Sightline Solution” to completely eliminate all sightline gaps. 64″ (1626mm) high doors and panels, mounted just 6″ (152mm) or 9″ (229mm) above the floor. Available in headrail braced, ceiling hung, floor mounted and floor to ceiling styles. 72″(1829mm)high doors and panels, mounted just 6″ (152mm) or 9″ (229mm) above the floor. Available in headrail braced, ceiling hung, and floor to ceiling styles. 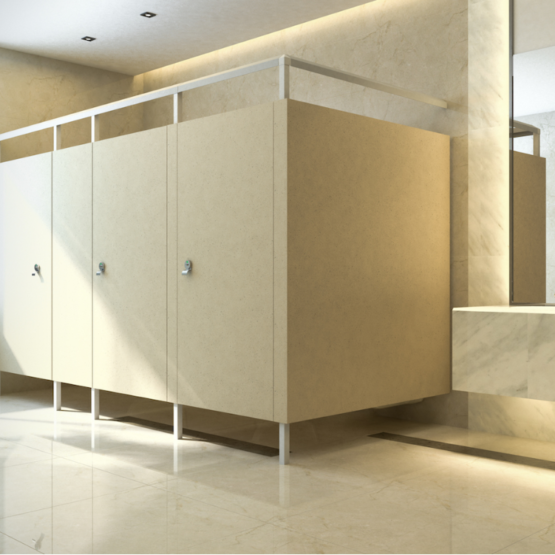 Standard toilet partitions use 58″(1473mm) high doors and panels,mounted 12″(305mm)above the floor. 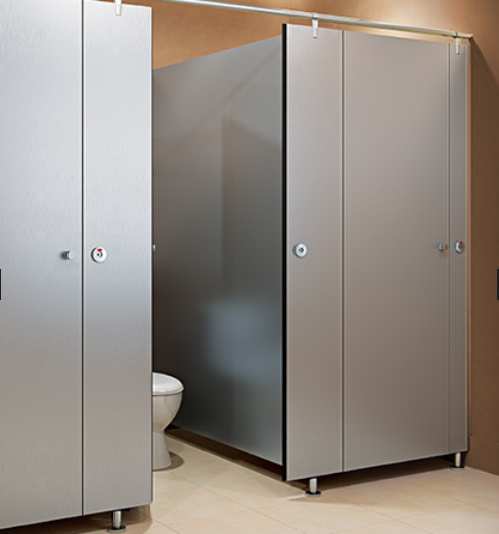 Elite and Elite Plus toilet partitions are available in powder coated and stainless steel finishes. 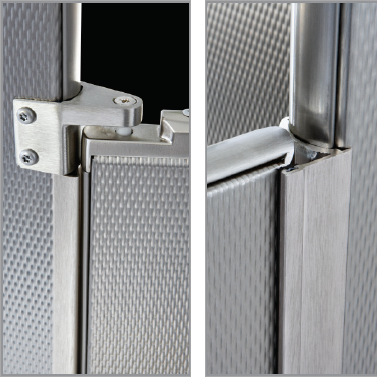 Hadrian’s “NO-Sightline Solution” features a full height continuous stop and hinge side filler to completely eliminate all sightline gaps around the door. with no exposed fasteners on the exterior,the”No-Sightline Solution” maintains a clean, unobtrusive appearance. When you walk into a room designed with Aria Partitions you will understand what has been missing. The days of large sight lines, boring flat doors and panels and large gaps are gone. Designers no longer need to work with antiquated systems seen in standard commercial bathrooms. It’s time to expect more. Aria Partitions provide extreme privacy, many design choices and innovative features that will significantly upgrade the look of your room and add a whole new level of privacy . With millions of design combinations,your design experience will be anything but boring. Combining innovative aesthetics with durable performance, Eclipse partitions’ minimum sight design offers enhanced privacy. The contemporary look and extensive color and texture collections are sure to enhance your facility decor.